It looks like Ezra Dyer's Audi R8 blizzard video has already spawned a "one-upper" on YouTube. 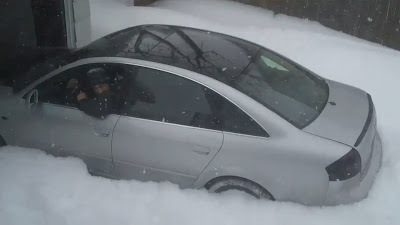 Check out this Audi owner who literally uses his Audi A6 to plow his driveway. You have to admit, it sure beats shoveling!